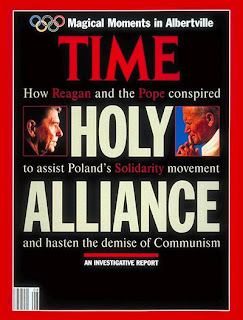 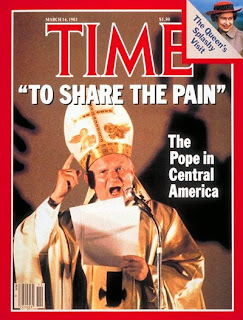 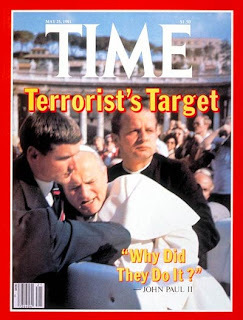 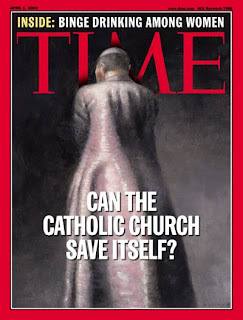 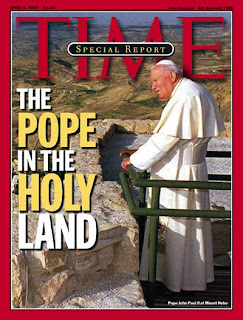 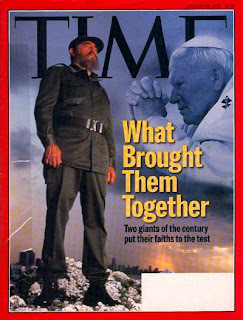 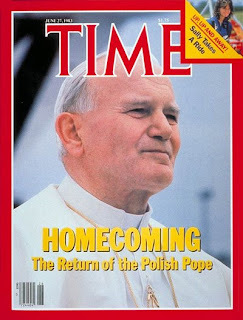 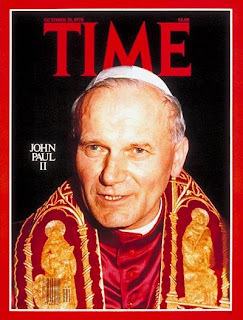 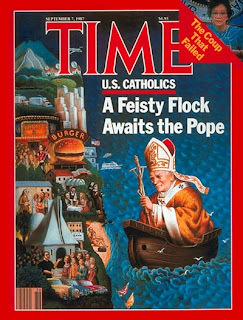 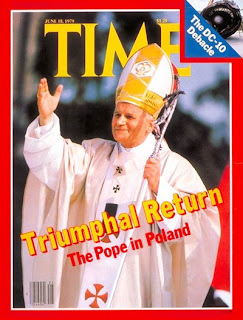 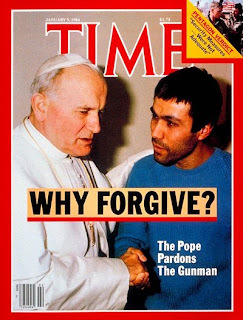 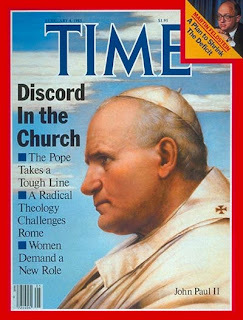 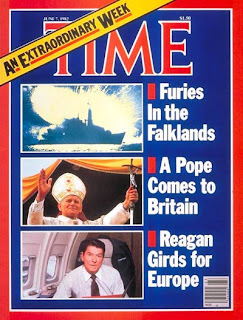 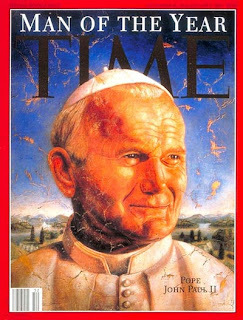 Pope John Paul appeared on the cover of Time Magazine some sixteen times during his twenty six year Pontificate. 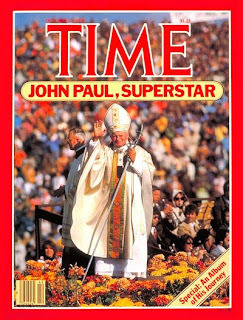 Note how the media are mesmerised by John Paul Superstar in the early years but the mood changes in the mid-eighties and John Paul becomes an out-of-touch conservative. 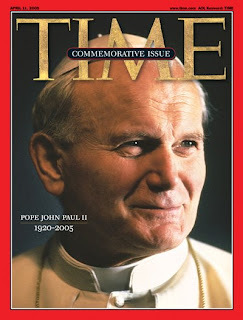 But by 1994 John Paul is Man of the Year and there is a realisation that the pensioner with white socks might have something useful to say after all.